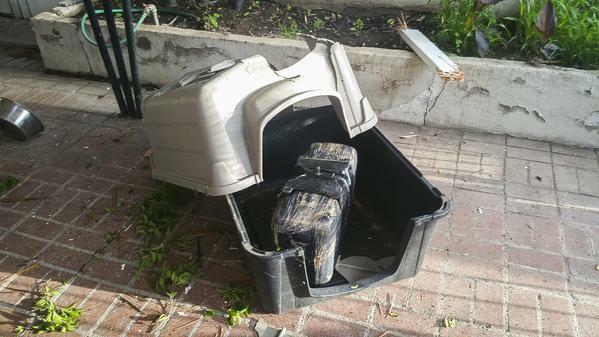 Inside was roughly 26 pounds of marijuana – a package that authorities say was worth $10,000 and likely was dropped there accidentally by a drug smuggler’s aircraft. She and her husband called 911. Nogales Police Chief Derek Arnson said it’s the first time in his three-year tenure that he’s ever seen a load of drugs hit a building. Maya Donnelly said she thinks it’s unlikely someone will come looking for the drugs, which are now in police custody. Police have boosted patrols in the Donnellys neighborhood for now. “Where it landed was clear on the other side of the house from the bedrooms,” Maya Donnelly said. “We were lucky in that sense.” Everybody says: `Why did you call 911? '”But how can you have a clear conscience, right? We could have made lots of home repairs with that. Next article“Police Shouldn’t Take All The Glory For Falae’s Rescue, We Paid Ramsom” – Chief Olu Falae’s Family.